Give an Honest Irish Lad a Chance. Are singing sweetest music all the day. And I sailed for Castle Garden all alone. When they give an honest Irish lad a chance. But every place they want no help they say. And oftentimes I wished that I was dead.-Chorus. And never more again from them to roam. 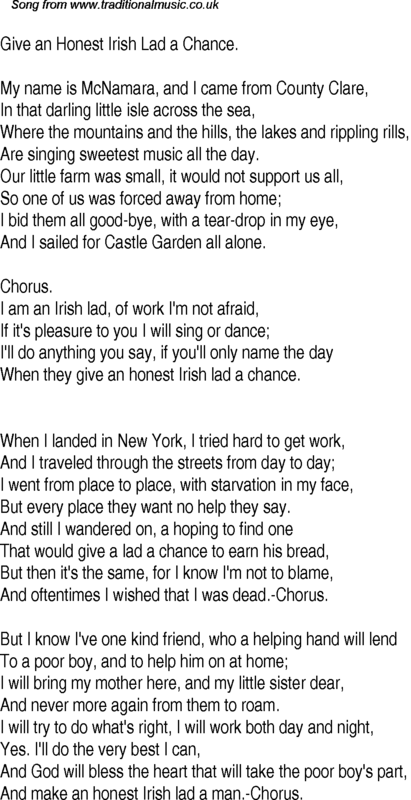 And make an honest Irish lad a man.-Chorus.